ErtelAlsop’s Letre Series Plate and Frame Filters are the industry standard for filtration of critical liquids. The Letre Plate and Frame Filters are designed with internal feed and discharge porting, and can be configured for thorough washing. No gaskets are required, and they can be used with a wide variety of filter media. Larger cake accumulation results in longer filtration cycles and even more importantly, the ability to achieve efficient washing of the filter cake. 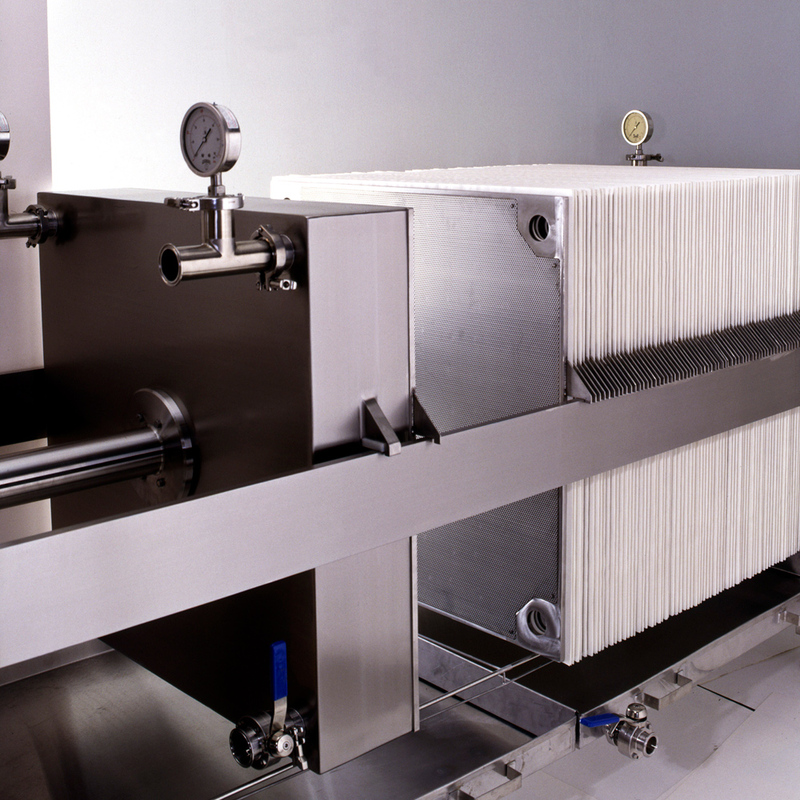 Product recovery via cake washing is one of the major economic benefits of using plate and frame filter presses. Letre plate and frame filters may also be used with carbon filter aid, or with a pretreated filter aid to accommodate a wide range of processing applications. Selection of inlet frame thickness will determine the volume of cake that can be accumulated and washed for product recovery. As with all of our internally ported filter assemblies, gaskets and washers are not required. In applications where sanitary designs are required, The Letre series filter press can also be provided with BioClean Filter Plates.